Klöckner Pentaplast is set to exhibit new food packaging hot-fill solution at this year’s CFIA event in France. The company will also showcase a range of high-performance films at the event, which is being held from 7 to 9 March in Rennes. The Pentafood Hotfill PET solution, which can be recycled, is suitable to be used with packaged goods made with sustainable materials. It will aggregate increased heat resistance with an enhanced transparency of a PET film. Klöckner has designed the solution to withstand temperature of about 90°C/ 194°F. Last month, Klöckner Pentaplast and Linpac have launched new modified atmosphere pack (MAP) for fresh perishable food and liquids. The new mono PET pack has been designed to protect and preserve cured and cooked meat, cheese, fresh pasta, convenience food and liquids. The new pack was created by using Klöckner’s APET++ rigid base web and Linpac’s LINtop PET HB barrier lidding film, offering enhanced look for packers and retailers. Klöckner Pentaplast produces packaging, printing and specialty solutions for the pharmaceutical, medical device, food, beverage and card markets. 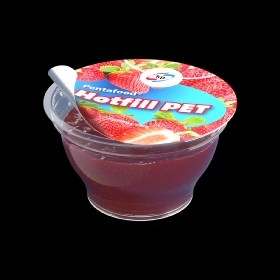 Image: Klöckner Pentaplast to showcase Pentafood Hotfill PET at CFIA event in France. Photo: courtesy of Klöckner Pentaplast.